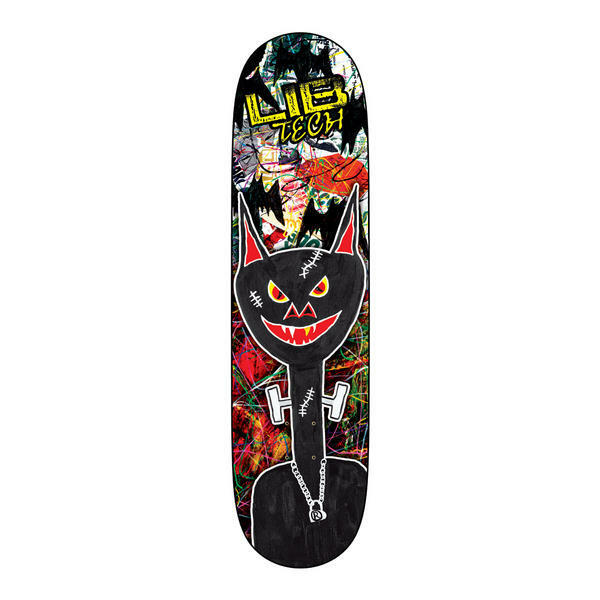 The Lib Tech Sticky Art deck is a great street / park deck for the masses, 7 ply with great pop and a slick logo design using Libs classic lib graphics with custom bat! Made from hard rock maple for great durability and a clean pop to your ollie, this deck comes in several sizes please check our other listings for other sizes. 7 Plys Environmentally harvested Hardrock Maple from Wisconsin. Hesho near Mexico in the USA.